Well heck, Emily Wells just swooped in and hovered in front of me for a few minutes with her ethereal, evocative music while my cheeks flushed hot watching. My friend taped this in the Utah radio station where he has a show; jaded radio people were apparently coming out of their offices, craning their necks, and whispering questions about who this impressive young lady was. Just off tour with Thao Nguyen, Wells says of her live performance: “All the live looping is like a sporting event, or keeping the first take of every recording. I could fall off the balance beam . . . which makes it all so much more exciting.” A violin whiz by elementary school and fielding major-label deals by 17, Wells held out instead for her own independent music-crafting career and unfettered creative exploration. Over virtuoso violin, her fearlessness in vocal range and experimentation calls to mind artists like Bjork or Tori Amos — and she lists Joanna Newsom, Aphex Twin, and Biggie Smalls among her influences. 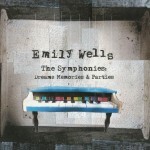 Her self-released current album is called The Symphonies: Dreams, Memories, and Parties (“10 songs heavily influenced by classical music and hip-hop production”) and you can find information on buying it here. I hear when you buy it, she usually includes a note on a postcard. You must also now watch her cover of Notorious B.I.G.’s “Juicy” (also captured live at KRCL in Utah). How can you not adore this woman? LOVE the new look. And of course, still loving the blog. Always nice to see the craft behind a good looper. she’s pretty great live, got to catch her on the Hotel Cafe tour back in October… but that cover of Juicy really bothers me to no end. it just ruins a classic that I really don’t think needs covering or tinkering. great talent. 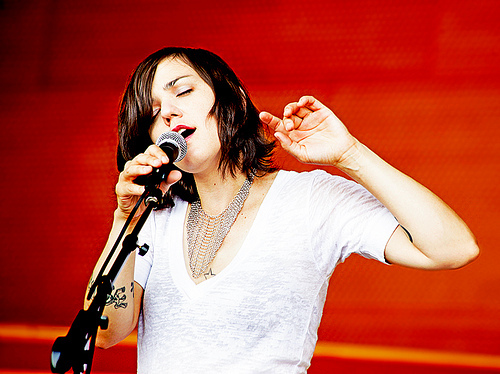 her live shows are rad. also, played on le switchs record. Love the new look and thanks for introducing me to Emily Wells, will have to investigate more. You own the album now, right? Right? Please don’t disappoint me in this. Just finished listening to Noble Beast on NPR and now this. Lovely sound – my Sunday morning’s definitely on track! Amazing! I just downloaded both of her albums on itunes. She’ll be playing at Hotel Cafe in LA on the 16th. Love that venue — so excited to see her live! I went to her release show…and she blew everyone away. Amazing. I wish I could get my hands on some of her earlier work.